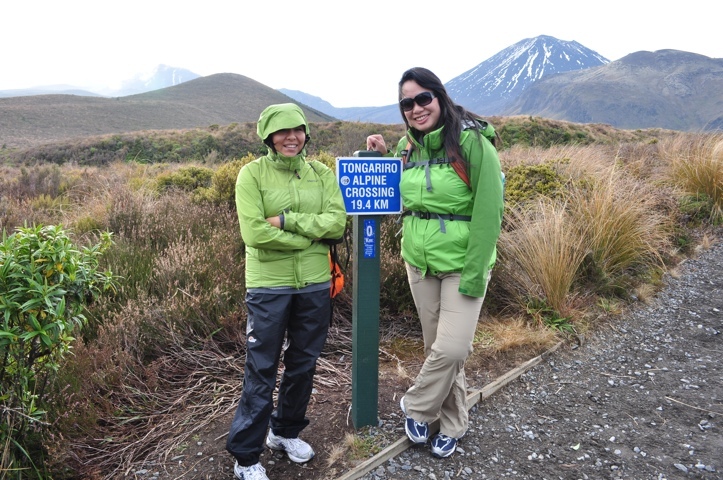 Today found us at Tongariro National Park, which is primarily known for its 3 mountains. You may know one of these mountains, Mt. Ngauruhoe, by another name, Mt. Doom. Mt. 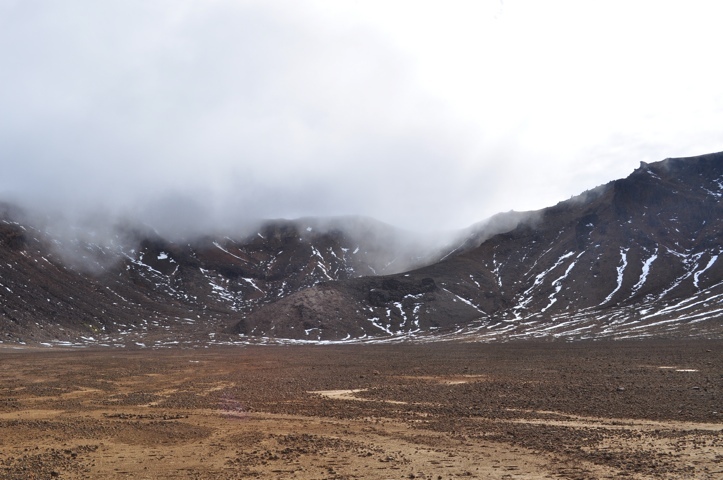 Ngauruhoe (and no, I can’t pronounce it either), was filmed to represent Mt. Doom in the LOTR trilogy, and is actually still a working volcano. 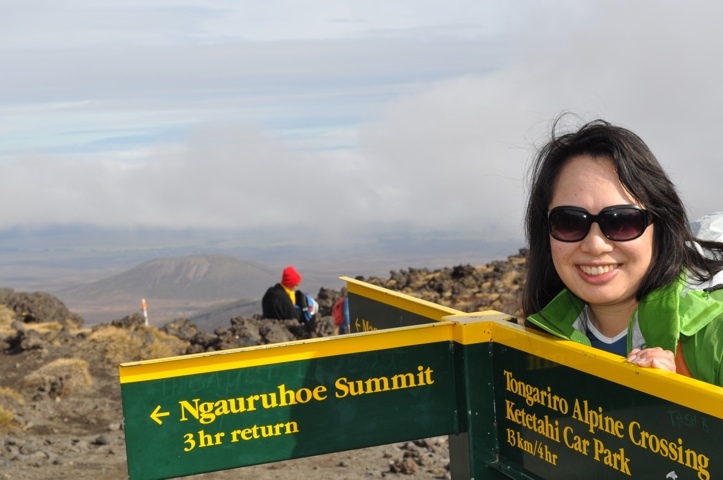 One of the most popular hikes in New Zealand is to do the Tongariro Alpine Crossing, a 19.4km, 7 hour hike that would take us by this mountain and it’s neighbor, Mt. Tongariro. 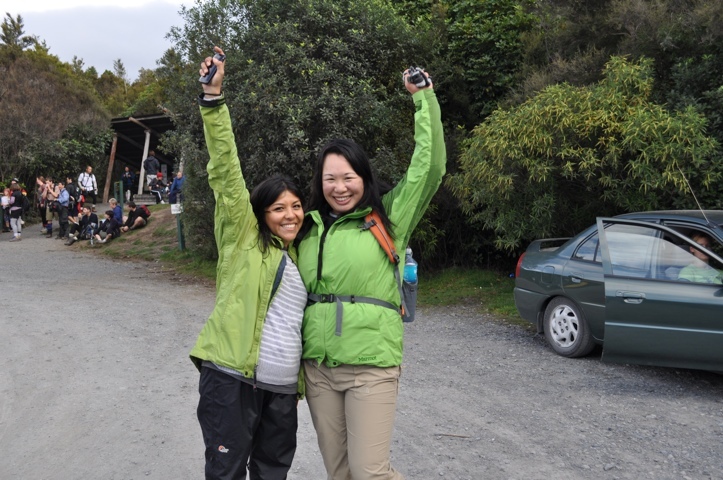 We were told by people that we would have to be “fit” to do this hike, and confidently (or stupidly, whichever way you look at it), we thought we could fit in that “fit” category. The hike started innocently enough – walking on slight inclines through the alpine meadows. The sun was out and the weather was nicely brisk. From there, however, things got a little more interesting. First, came a massive amount of stairs, which combined with the increasing altitude, literally took our breath away. 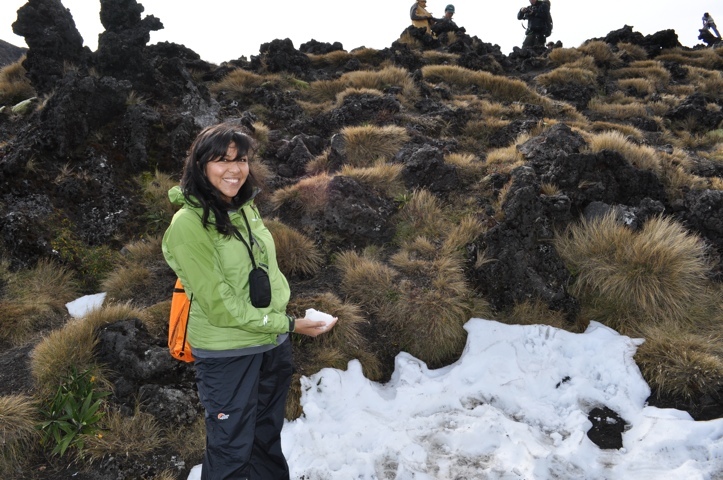 Then, the trail leveled out through barren lava rocks (Mt. 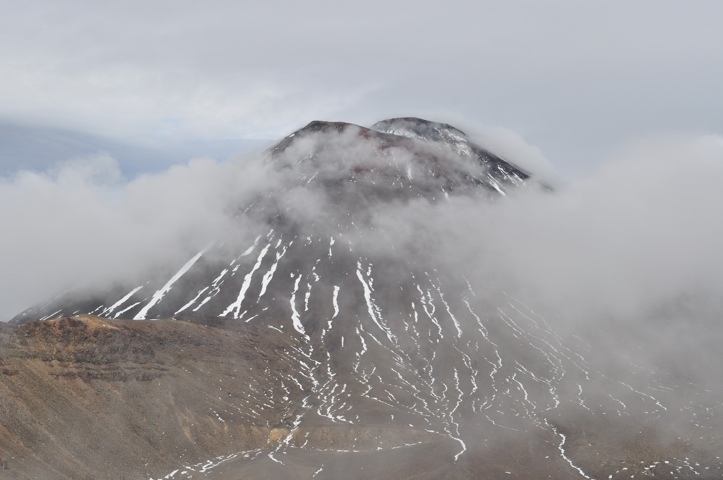 Ngauruhoe last erupted in 1975), giving us a false sense of security. THEN…the worst part – a steep narrow elevation on a narrow path WITH gusting cold, winterly winds. Imagine trying to catch your breath at 1886 meters while cold winds forcefully try to push you over – that’s what we felt. We were warned by various signs and people that the weather could change at any minute, but I thought it was just an exaggeration. Nope! If that wasn’t bad enough, after reaching the ice cold, cloudy summit of our hike, we had to climb down the other side – a steep, rocky decline with our shoes sliding through the rocks and gravel, and yes, still with the ice cold strong winds trying to knock us off. Crazy! I just had to keep telling myself “one step at a time, one step at a time”, and after what seemed to be an eternity, that crazy part was over. At the beginning of the crossing – Kilometer 0! It wasn’t pretty, but we did it! Wow, I am impressed…no whining for the little Princess?! Was it more grueling and more tears than Huang Shan or Half Dome? What an accomplishment! Glad you made it down safely and had a jacuzzi & steak dinner as a reward. Was watching video of how they built Egypt’s pyramid, said the men worked hard and subsisted on meat to keep them going. Something to say about beef…Anyway, tried any NZ lamb yet? Wow, you’re actually advocating for beef?! I never thought I’d see the day when that happened. 🙂 This trek definitely didn’t have as many stairs as Huangshan, and there were flat parts, but the worse part about it was the weather changes and the cold gusty winds. What an adventure! Wish we were there with you. Glad you and Fanny got back before it got too dark. Hope the rest of your trip is less grueling. Thanks. We actually made it back way before dark with plenty of time to spare. We plan to do some glacier hiking later on, but we’ll have a week to rest up before then, thank goodness!